We are back again at Peace Yoga Studio and can't wait to expand our wings at the new studio. 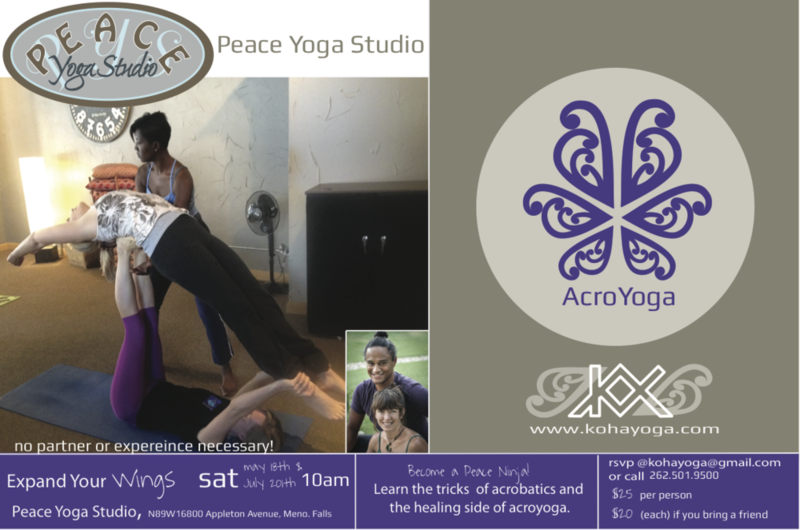 We will explore basics in this class like bird, folded leaf, and high flying whale, but we will start expanding possibilities that can happen with AcroYoga. We will do high flying and low flying whale, cross, ninja on both sides and some therapeutics to end up the class.